Chart of percentages of payroll, number of employees, and number of businesses of the transportation and warehousing industry in Santa Cruz, arranged in brackets of employees per transportation and warehousing business. 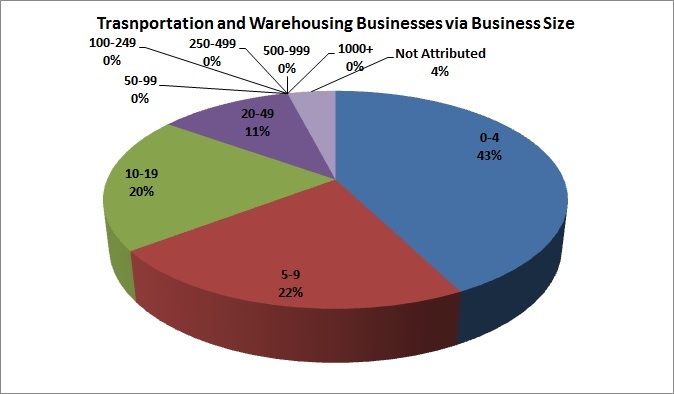 Pie chart showing percentage of all transportation and warehousing businesses in different brackets of employees per business. Pie chart showing percentage of all transportation and warehousing business employees in different brackets of employees per business. 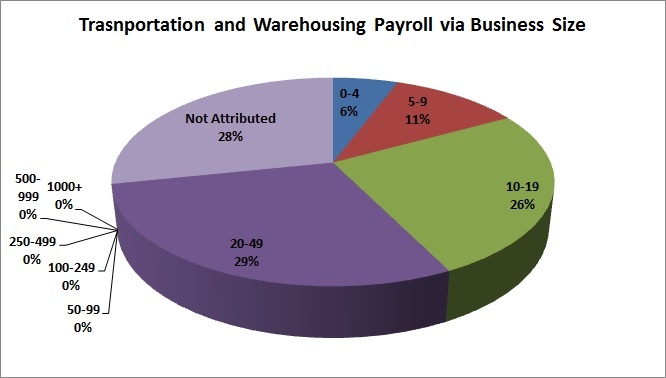 Pie chart showing percentage of all transportation and warehousing business payroll in different brackets of employees per business. Chart of percentages of payroll, number of employees, and number of businesses in regards to all different kinds of industries in Santa Cruz, arranged in brackets of employees per transportation and warehousing business.